No comments thank you !!!! 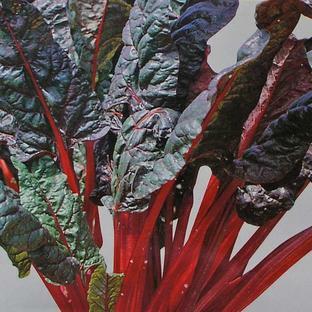 Help your plants and seedlings grow healthily even during the dark winter months. 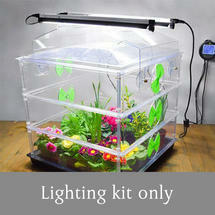 The Vitopod lights attaches to your Vitopod propagator to help diffuse light deep into the plants. 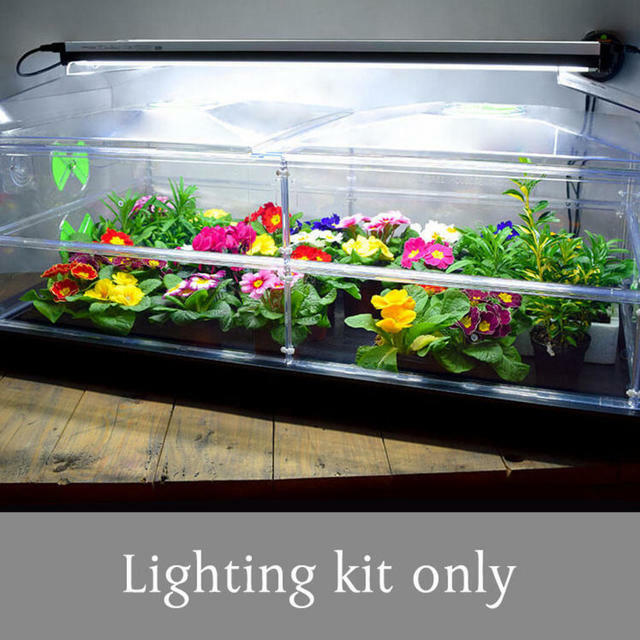 The lights fit securely above the propagator and the lids can still be removed without removing the lights. If you want to add an extension to your Vitopod propagator simply move the brackets up. Use the lights to extend the daylight hours to 12 hours. 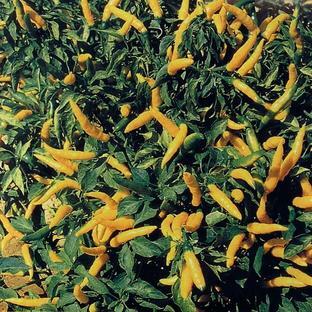 If propagating seeds use the lights from the time the seedlings appear until the daylight hours achieve12 hours. 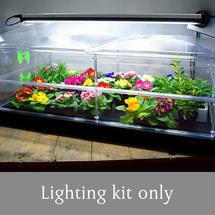 The lights can be switched on and off independently from the propagator. 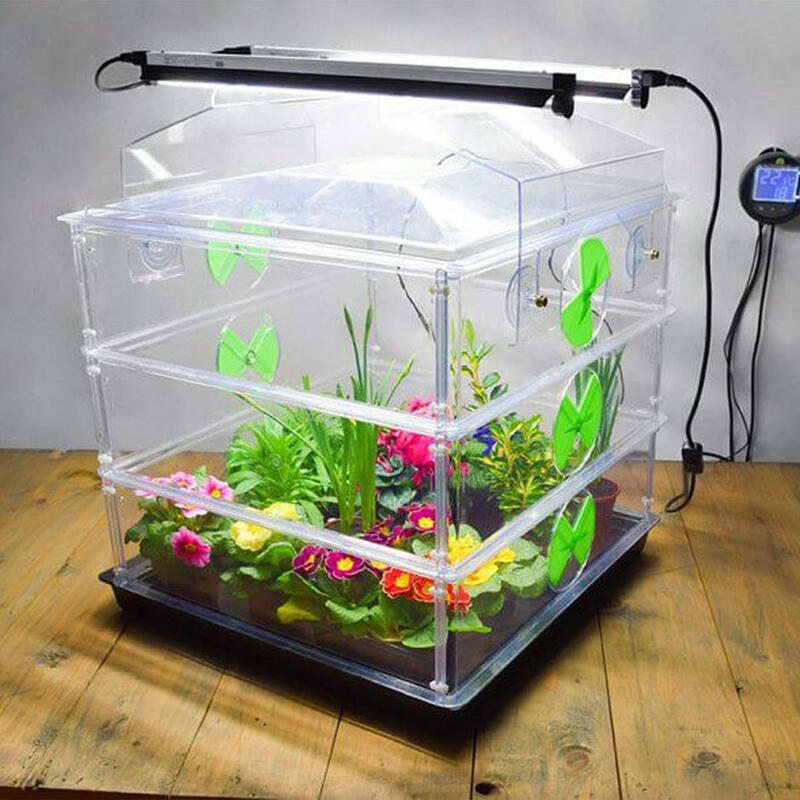 The Light support kits are available in small 60cm and large 90cm sizes. 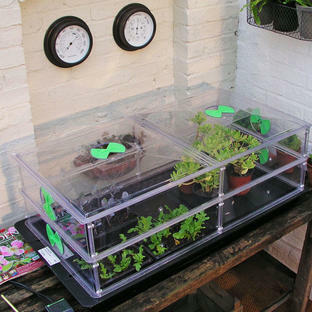 See here to buy the Vitopod propagator. 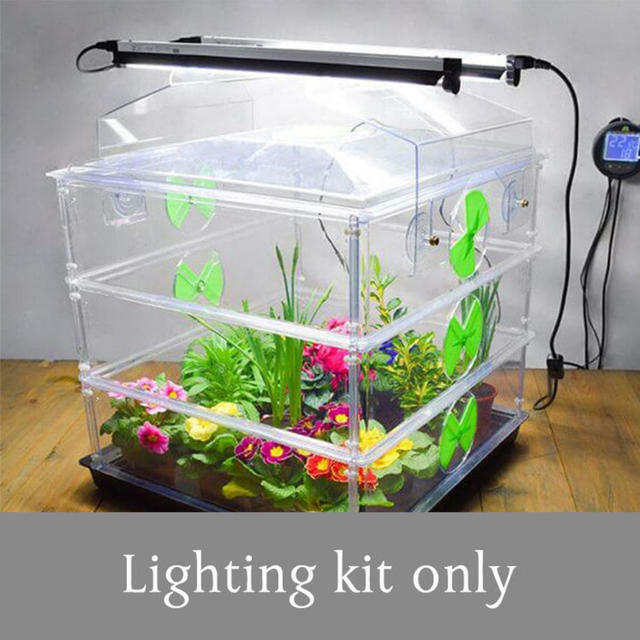 Each set includes 2 lights and support brackets for your Vitopod Propagator. The lights are low energy and long lasting, typically providing 10,000 hours of light. The lights are housed in a nanotech enhanced reflector that reflects 99.9% of previously lost light, increases lumen availability by 300% and diffuses light deep into the plant leaves.